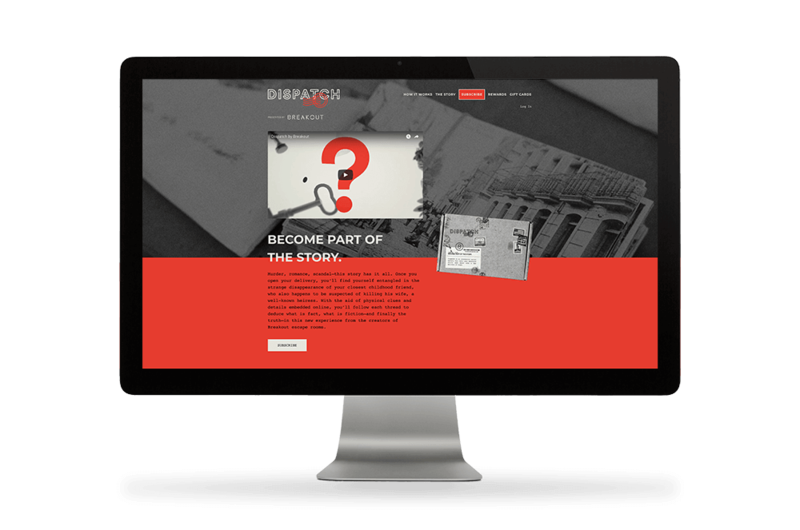 Dispatch is a monthly mail subscription that brings the excitement of escape rooms into customers' homes. It was the brainchild of Breakout Games, one of our all-time favorite clients, so we were excited to get to be a collaborative design partner in creating this new series. We had a ton of elements to consider in approaching this project—brand identity, clue and website design, and the prospect of fitting everything tidily into a little box. 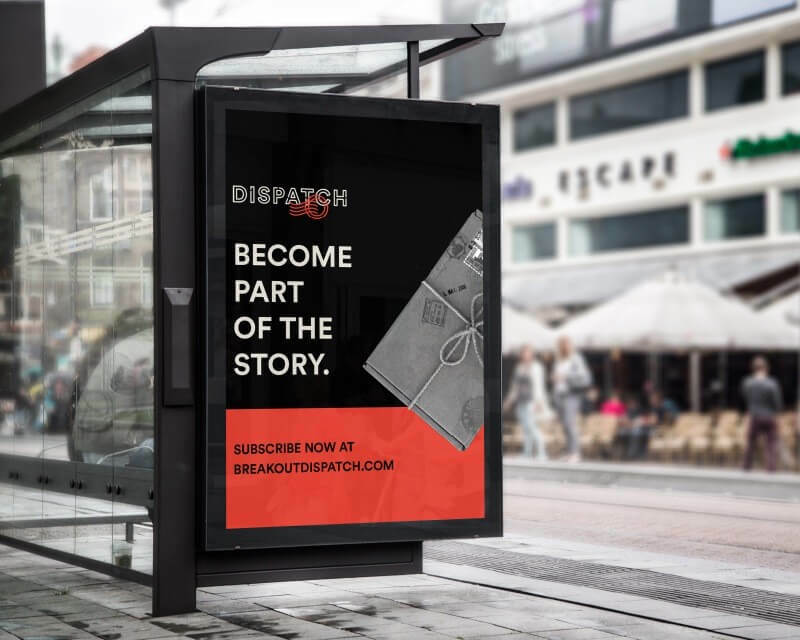 We wanted to incorporate some aspects of the Breakout Games parent brand, whose motto is “Escape Ordinary,” while also giving Dispatch in its own distinct character. 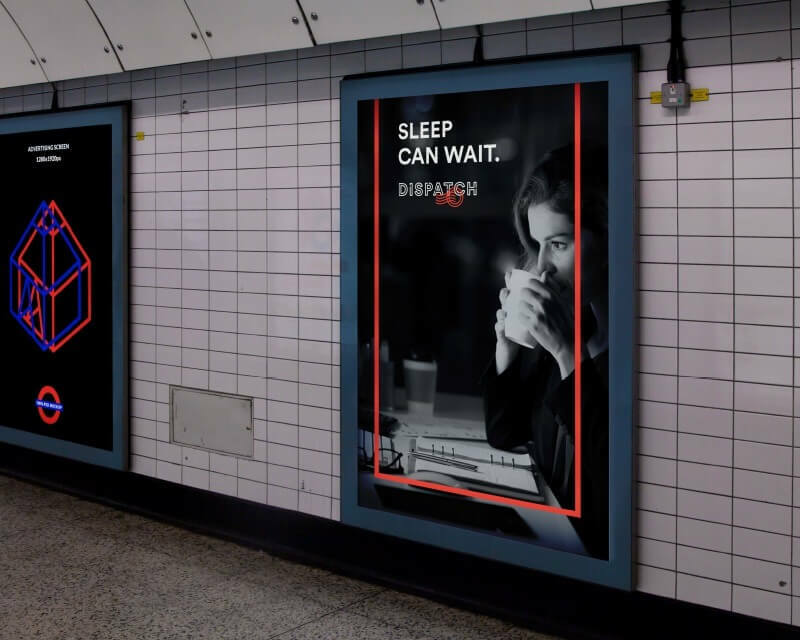 By bringing in the same color palette and similarities to the word mark of Breakout, we were able to align it to Breakout’s vision and identity—but by giving Dispatch its own set of typefaces and icon designs, we gave it an individual voice. In order to bring Breakout home, the design of the clues and packaging had to support an unraveling mystery and who-dun-it storyline. This was a compelling challenge for our creative team, who dove in with equal parts enthusiasm and meticulous logic. From compiling code systems to testing mail subscriptions to make sure they actually worked, we’ve taken a holistic approach with this project from start—and we’re excited to see what else we can come up with. 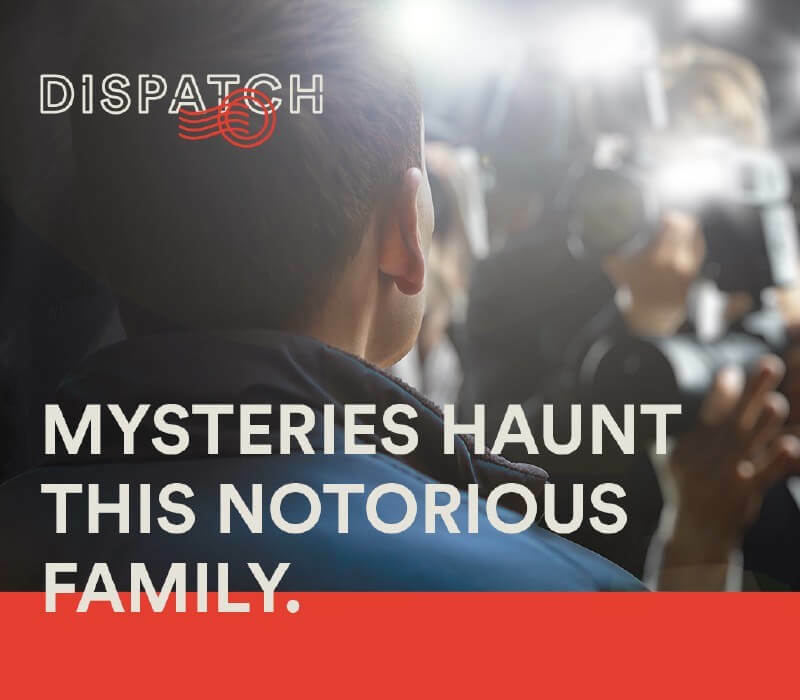 Dispatch focuses on being a socially interactive and immersive experience. Its overall goal is to be fun and full of surprise, as well and clever and thorough. 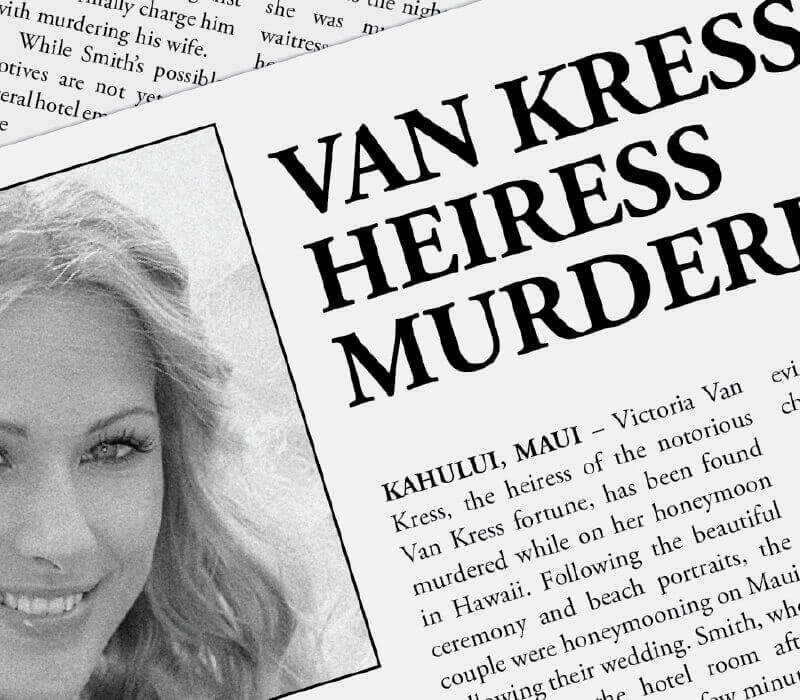 To make that happen in the execution, we got really granular with “realistic” details, such as worn old letters, oil-stained takeout menus, and passport stamps for made-up countries. This level of detail allows customers to interact with clues on an authentic level, suspending their disbelief while playing the game. Mediocre Creative ©2019 All rights reserved.